A heavy police presence was visible at an apartment complex on Strawberry Hill Road. 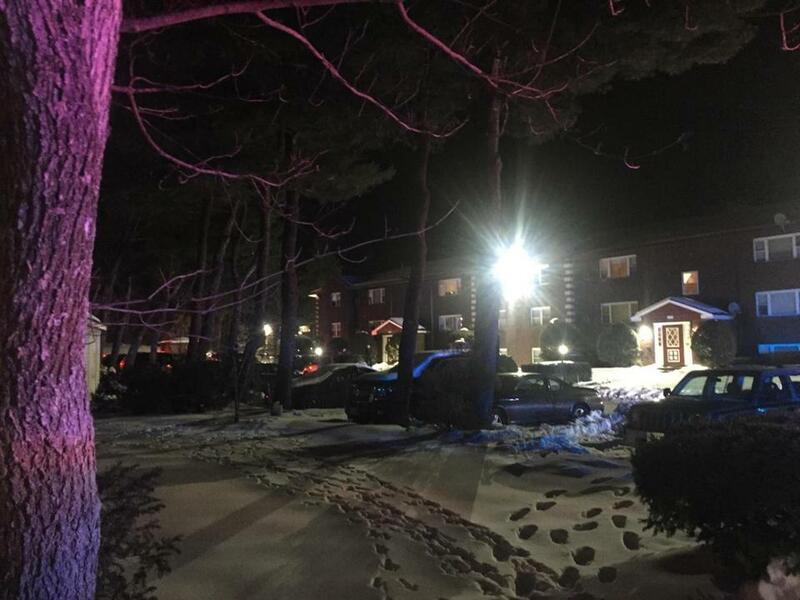 ACTON — A person was shot at an apartment complex here Wednesday night and authorities are searching for two suspects, according to State Police. The victim’s condition was not known. State troopers were called at 9:14 p.m. to Strawberry Hill Road to assist Acton police with a shooting investigation, State Police Sergeant Paul Sullivan said. Acton police did not return a call seeking comment. State Police K9 units and troopers assigned to the Concord barracks responded to assist in the search for suspects, said David Procopio, a State Police spokesman. At about 10:15 p.m., a heavy police presence was visible on Strawberry Hill Road, which is located off Route 2A. Officers also responded from Concord and Littleton. At least 10 police cruisers were on the road and a handful of officers stood near the entrance to a brick residential building. The parking lot to the building was cordoned off with yellow police tape.